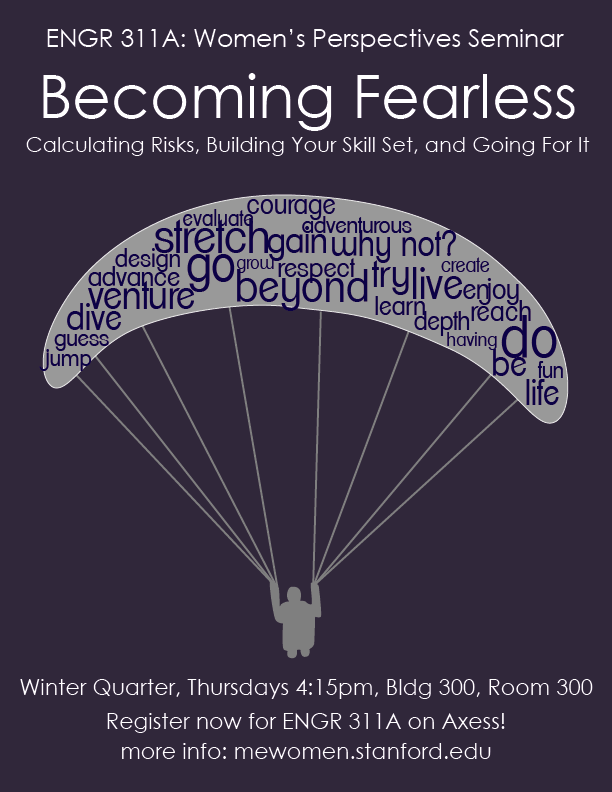 calculating risks, building your skill set, and going for it! Trae is an independent investor, board member, and advisor. She is currently working as a strategic advisor to Kleiner Perkins Caufield & Byers (KPCB), where she was a general partner. During her 10 years at KPCB, Trae invested in a number of leading companies including Nest Labs (acquired by Google), Dropcam (acquired by Google) and Opower. Previously, Trae was a co-founder of Good Technology, a KPCB portfolio company (acquired by Motorola) that provides end-to-end wireless e-mail services to the enterprise. Trae began her career at IDEO, where she developed ground breaking products for companies including Palm and Dell. Trae holds 13 patents across a broad array of technologies and disciplines. Trae earned a Bachelor’s degree and Master’s degree in mechanical engineering with honors from Stanford University and an M.B.A. from the Stanford Graduate School of Business. Besides entrepreneurial work, Trae is passionate about empowering girls in technology and adventuring with her husband and three children. Shellye is the CEO of MetricStream, a Silicon Valley-based, Governance, Risk, Compliance (GRC) and Quality Management software company that helps companies around the world improve their business performance. She led MetricStream to grow into a recognized global market leader with over 1600 employees around the world. 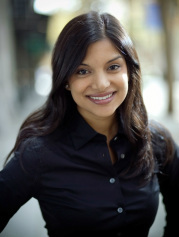 As a member of the board of directors for the Silicon Valley Leadership Group, an organization that fosters cooperative effort between business and government officials to address public policy issues affecting Silicon Valley, Shellye has led initiatives and Washington, DC delegations to address regulatory compliance and improve governance. In addition, she has served on the Board of Directors, and the Audit and Technology committees for media research company, Arbitron, Inc. from 2005 to 2013. 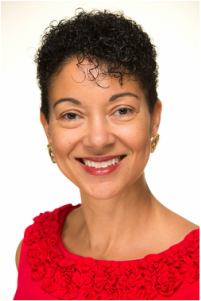 Currently, she serves on the board of directors of Verizon Communications Inc.
Shellye is a well known speaker on GRC issues and has presented to Fortune 500 corporations, members of Congress, and associations including IIA, ISACA, and NASDAQ. Shellye is frequently quoted in top-tier media, and currently pens a column on leadership and entrepreneurship for Xconomy. In April 2013, Shellye was named the “#2 Most Influential African American in Technology” by Business Insider. Jackie Chen is a Distinguished Member of Technical Staff at the Combustion Research Facility at Sandia National Laboratories. She has contributed broadly to research in petascale direct numerical simulations (DNS) of turbulent combustion that provide insight into combustion processes and are used to develop and validate turbulent combustion models for engineering CFD simulations. Jackie is also the founding Director of the Center for Exascale Simulation of Combustion in Turbulence (ExaCT). She leads an interdisciplinary team to co-design DNS algorithms, domain-specific programming environments, scientific data management and in situ uncertainty quantification and analytics, and architectural simulation and modeling with combustion proxy and production applications. She received the DOE INCITE Award in 2005, 2007, 2008-2014, the Asian American Engineer of the Year Award in 2009, and the Sandia OE Adams Award in 2012. 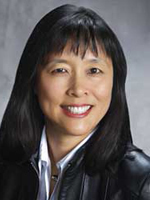 She is a member of the DOE Advanced Scientific Computing Research Advisory Committee (ASCAC) and Subcommittees on Exascale Computing, and Synergies of Big Data and Exascale. She is the editor of Flow, Turbulence and Combustion, the co-editor of the Proceedings of the Combustion Institute, volumes 29 and 30, and is a member of the Board of Directors of the Combustion Institute. * Reception following the seminar: 5-7pm at Studio 1, Building 550. Sponsored by Sandia National Laboratories. Deb Lewis is a “combat-tested leader with an infinite-win mindset”. She entered West Point, the U.S. Military Academy, in 1976 with the first class of women to be admitted. She continued to take on challenges in her military career of 34 years, during which she advanced to the rank of Colonel. She was a commander in the U.S. Army Corps of Engineers, working domestically and overseas on military and civil works projects. During the war in Iraq, she commanded an Engineer District in Baghdad and Al Anbar Provinces, executing a $3.3B construction program as part of the reconstruction process. Among her other military roles, she served as an Assistant Professor at West Point and inspector general of the Washington National Guard. After her retirement in 2010, she organized and executed a bike tour of all 50 states with her husband, Lt. Col. Doug Adams, to raise educate Americans about helping veterans and military families. She has also become an author and speaker, helping others to overcome challenges and repair relationships using the lessons from her life and career. Nita Kaushal is the Founder of Miss CEO, and wants to ensure every girl is given the opportunity to learn and discover her inner leader. Nita was recently a senior manager at Yahoo! where she led an innovative and high performance suite of display media products. She began her career at Intel, where she contributed to the product evangelism and development of Intel's Centrino wireless platforms and other key mobile technologies. Nita graduated from Stanford University with a degree in Electrical Engineering. While in college, Nita developed a passion for helping girls and young women develop leadership skills and advance in underrepresented fields. 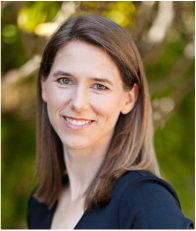 She is on the Stanford Women's Community Center Advisory Board and has also served as the Co-President of Yahoo! Women in Tech, a 500+ member organization committed to attracting, developing and retaining more women in technical and executive positions. Nita happily resides in the beautiful San Francisco Bay Area and enjoys traveling, reading, hiking and indulging in the local culinary scene. Maggie has a BS in Engineering/Product Design from Stanford (1994) and an MFA in Wood Furniture from the California College of the Arts (2003). She has worked as a Mechanical Engineer/Product Designer for most of her career since Stanford, except for her MFA program and a few years afterwards when she started her own custom furniture business. For the majority of her ME career she was an independent contractor working for Product Design firms or Bay Area companies manufacturing consumer electronics or medical device, including Function Engineering, Moto Product Development, Cool Systems, Pie Digital, Sunlink as well as for her current company Alloy product Development in San Francisco. She closed her consultancy and started at Alloy full time in 2013. Alloy’s past clients include such familiar names as Jawbone, Beats by Dre and Simple Human. Work and family take up most her time these days, but she still enjoys woodworking, and hopes to have more time for it when her two young sons are older. Komal Shah (MSCS 93) was introduced to programming at 15. She fell in love with programming so much, so that she started teaching it in Ahmedabad, India, where she grew up. She majored in Computer Science in India and eventually came to Stanford in 1991 to get her Masters in CS. After graduation, Komal joined Oracle Corporation, where she helped rewrite the database on Solaris OS. She eventually ran product management for the Netscape Application Server and helped grow their revenues tenfold. She served as the VP and GM for a full service provider for SMB at Broadband Office, before joining Yahoo to head up Product Management for Membership & Security, Hadoop and Search Distribution. While Komal decided to step away from a fulfilling career to be with the kids, she is passionate about more women joining technology and supporting women as they navigate their hi-tech careers. 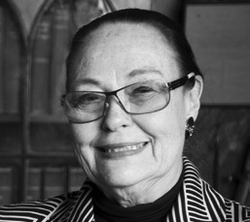 Brit d’Arbeloff studied Mechanical Engineering at Stanford, graduating first in her class in 1957. She was the first woman to receive an engineering degree from Stanford. Despite the difficult employment conditions for women at the time, she worked in rocketry and aviation, returning to school for a Masters degree from MIT. Later, she took time off to raise her four children before reentering the job market, this time as a software programmer in the fast-growing computer industry of the early ‘80s. In addition, she has worked in fashion retail and as an author, writing five novels. She has been an activist for the recruitment and retention of women in engineering, working to pull down artificial barriers to entry. Brit currently serves as the chair for the MIT Council for the Arts. 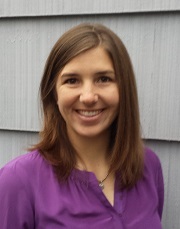 Kat Steele joined the department of mechanical engineering in September 2013 as an assistant professor. Her research focuses upon using novel computational and experimental tools to understand human movement and improve the treatment of individuals with cerebral palsy, stroke, and other movement disorders. She uses a combination of tools including musculoskeletal modeling, medical imaging, and device design. Her current projects explore how orthoses can be optimized to an individual's walking pattern, evaluating changes in control after common surgical treatments, and using new ultrasound techniques to quantify changes in muscle properties after brain injury. Kat previously worked at the Rehabilitation Institute of Chicago as a post-doctoral fellow investigating the altered control and dynamics of individuals with cerebral palsy and stroke. She has also worked at The Children's Hospital Denver, Lucile Packard Children's Hospital, and the Cleveland Clinic. Kat received her PhD in mechanical engineering from Stanford University in 2012. * Reception following the seminar: 5-7pm at Studio 1, Building 550. Sponsored by Stanford Center for Professional Development (SCPD). 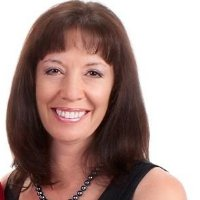 Tina Villalobos-Mitiguy is a workplace culture expert, currently working as a consultant and Culture Evaluator Coach at Great Place to Work Institute. She has over 14 years of experience in human resources and management consulting, evaluating "best companies", and writing about them for internal reports. Apart from workplace management, Tina is interested in entrepreneurial ventures with a social mission, and has been involved with the Los Lomitas Education Foundation and I Cubed: Inspectors, Inquirers, Inventors, a STEM summer camp for elementary school students. Previously, Tina has worked as a Managing Consultant with Hewitt Associates in San Francisco and was on the founding team for a medical technology start-up in San Jose, California. Tina earned an A.B. in Philosophy from Stanford and an MBA from the University of Notre Dame. Aside from coaching a team of workplace evaluators, she can be found coaching her son's 4th grade basketball team.